The people need to know about the greatness that is KISS! Sometimes things sneak up on you. Like when you’re accidentally going in excess of 100 miles per hour…on the Bronx River Express-way…against traffic. 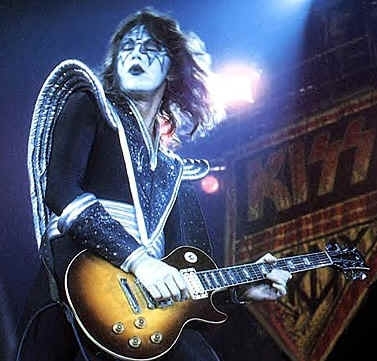 This all happened to KISS’s lead guitarist (and greatest man alive) Ace Frehley in 1983. Believe it or not, he did this all while driving a Delorean, which inspires us to ask if he was trying to go back in time or not (If so, his attempts predate those of Emmett Brown by two years). When you hear KISS, you probably think about a band, right? Well, almost from their inception, KISS has never stuck to just music. Put aside their stage theatrics (arguably the greatest in the world), and you would still find countless examples of their non-rhythmic endeavors. In 1977 KISS teamed up with Marvel to put out a KISS comic book. One year later, they starred in the cult favorite KISS Meets the Phantom of the Park. While you’ve probably heard of Gene Simmons Family Jewels, did you know that the bassist actually started in Wanted: Dead or Alive as the main villain of the film? They’:ve even released a video game based off their Psycho Circus album. I, for one, welcome our new face-painted overlords. 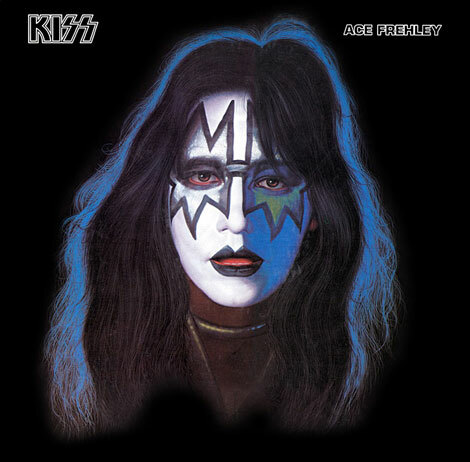 Okay, this one is a bit of a stretch, but during the filming of KISS Meets The Phantom of the Park, Ace Frehley stormed off of the set (probably to go save the world or something), and parts of the movie had to be filmed with his stunt-double standing in for him, who just happened to be African-American. So, in a way, there has been a black member of KISS. 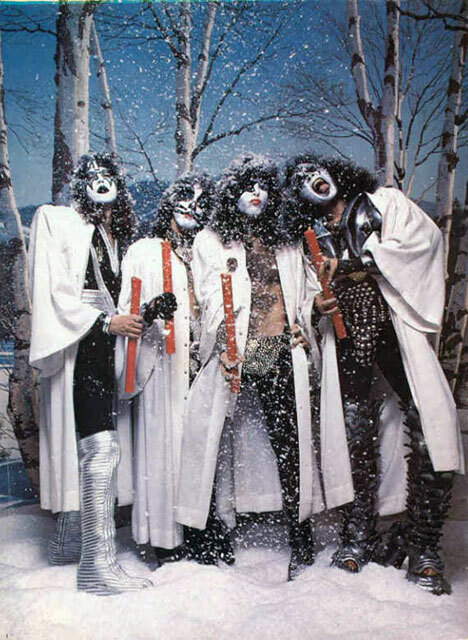 Despite celebrating KISSmas every year, the two remaining original members of KISS are Jewish. In fact, Gene Simmons was born in Israel, and his mother is a holocaust survivor. Those of the Jewish faith often refer to themselves as the ”chosen ones,” and any rocker can tell you that label certainly fits for the hottest band on earth! Okay, so I’m sure you’ve probably heard that Gene Simmons has slept with over 4000 women (I think it was even on a billboard), but did you know that Gene Simmons has a very special photo album? More specifically, he has supposedly taken pictures of almost every woman he has ever slept with, and collected them. We’re not sure if they’re in a frilly photo-album, but I’d like to think that they’ve been lovingly assembled for him, maybe as a father’s day gift from his inexplicably few children (how does he only have two?!?!). 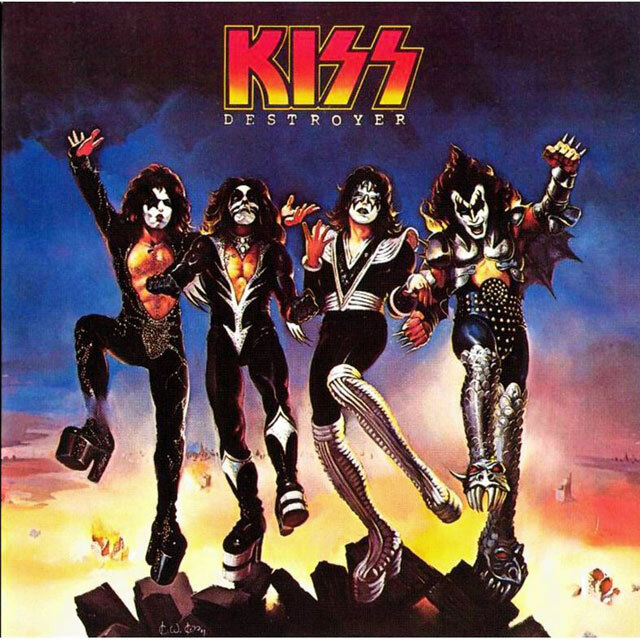 While the arguments never cease as to whether KISS or Van Halen is the superior band (KISS always wins), there was a time when it seemed that they could have been one band. 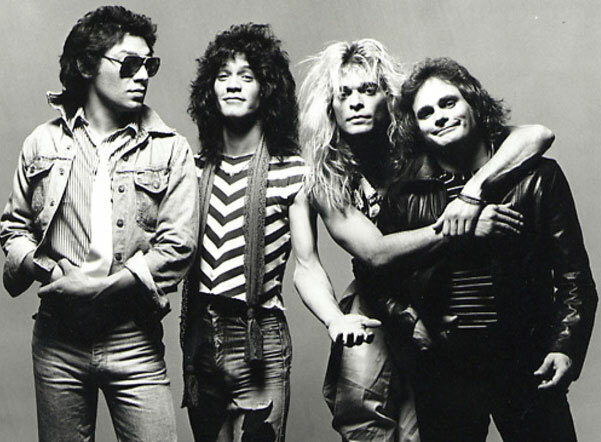 Before the release of Van Halen’s 1984 album, Eddie Van Halen (lead guitarist) and David Lee Roth (Lead vocalist) had personality differences, so much so that Eddie wanted to cut his losses and leave the band. More specifically, leave the band for KISS. 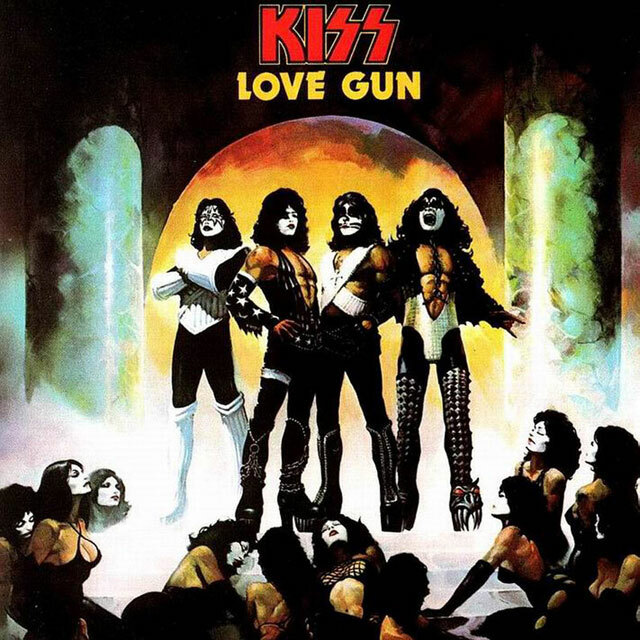 Gene Simmons managed to convince Eddie to stay with Van Halen, and two years later they released their biggest songs Jump and Hot For Teacher. So the next time you’re at a bar and hear Jump for the millionth time, you have no one to thank, but the great Gene Simmons. Believe it or not, KISS has yet to be inducted into the Rock and Roll Hall of Fame. 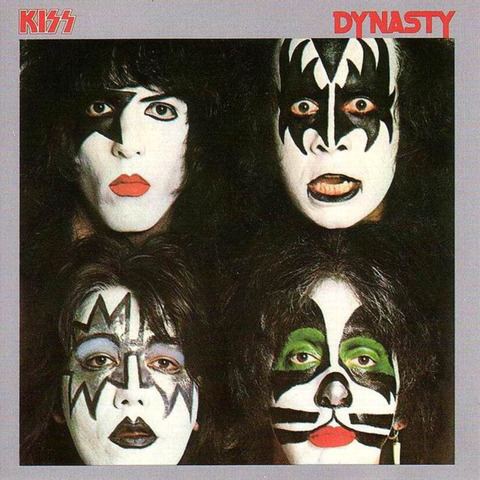 Acts become eligible 25 years after the release of their first record, so KISS has been getting dissed since 1999. There seems to be only one explanation: KISS will be inducted in 2012 as a fitting end to the Hall Of Fame, and to the world in general. All joking aside, the four boys from New York must be demi-gods, or at least have some angels looking over their shoulders to have survived the continual abuse they’ve taken. Gene Simmons has been accidently lit on fire on a number of occasions. We already mentioned Ace’s escapades in a Delorean, but he’s also been in a number of other car accidents. Combine those with Paul Stanley’s (KISS’s front-man) multiple hip replacements and Peter Criss’ surviving a bought with breast cancer. It would seem that the day may come when they ascend to Olympus. Who needs the Rock and Roll Hall of Fame when you’ve got Aphrodite on your arm? Is your greatest fear of death that you may never listen to KISS again? 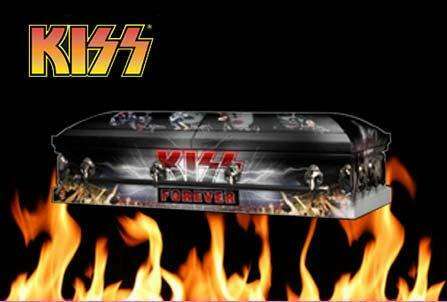 Well you can take that wild ride to heaven (which must be the inside of Paul Stanley’s house) with the mightiest quartet the world has ever known adorning your vessel. Interestingly enough, the only complaint made when this item, originally from 2001, was reintroduced was, ”why can’t there be a KISS urn?” My only answer, based on the previous list element, is: real rockers are fireproof. 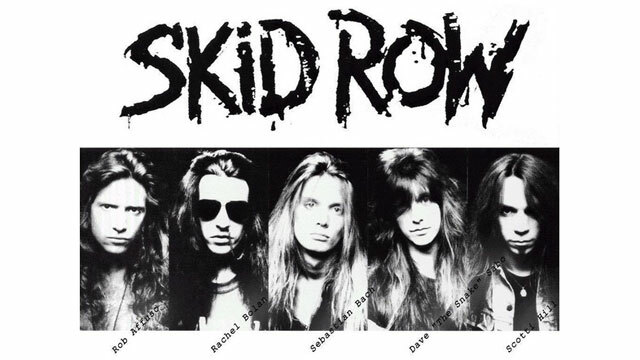 Remember Skid Row? Well, I’m sure you know Sebastian Bach, their former lead singer, and one of the nicest guys in Rock. Why is Sebastian Bach their ”former” lead singer? Well, if you read the title of this list, you probably know the answer isn’t Yoko Ono. That’s right, KISS caused the schism in his group, but unintentionally. The rumor is that Sebastian Bach booked Skid Row to open for KISS, but his band mates felt that they were too big to open for anybody. Sebastian Bach, possibly the first martyr in KISStory, quit Skid Row after saying that no one is too big to open for KISS. Sebastian’s reserved himself a penthouse in KISS heaven. Knights In Satan’s Service? Kids In Satan’s Service? Keep It Simple Stupid? None of the above I’m afraid. Our favorite grease-paint enthusiasts thought up the name during a car ride and liked the sound of it. Remember, the members of KISS aren’t demonic, THEY ARE GODS. Keep it straight.